TEN FREE BOOKS of your choice? 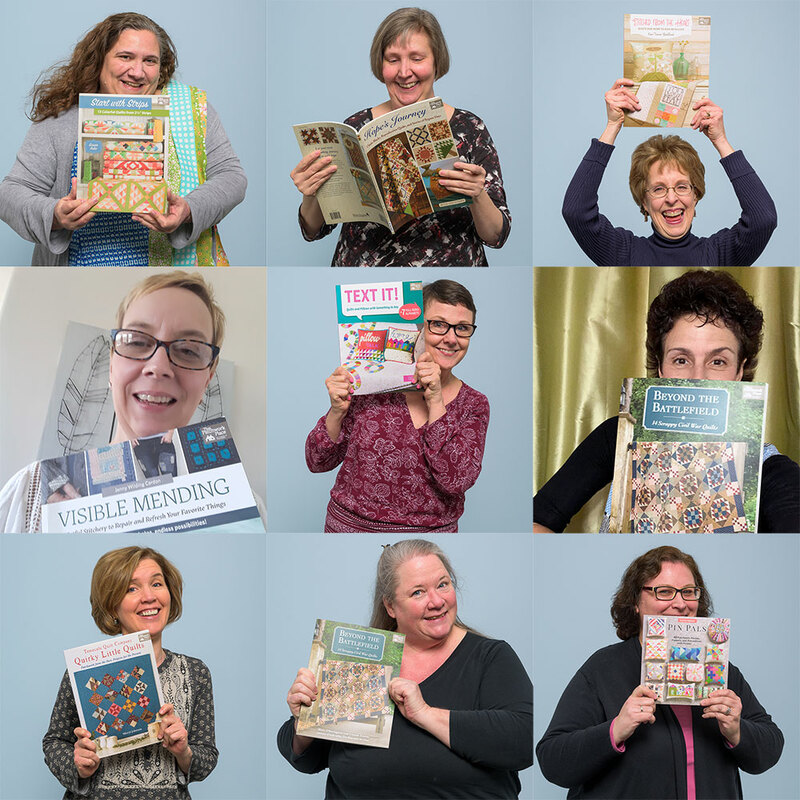 Now that’s a great way to celebrate National Craft Book Week! 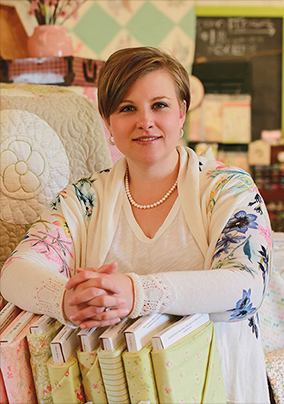 So, how do you enter to win those 10 FREE books? It’s easy! 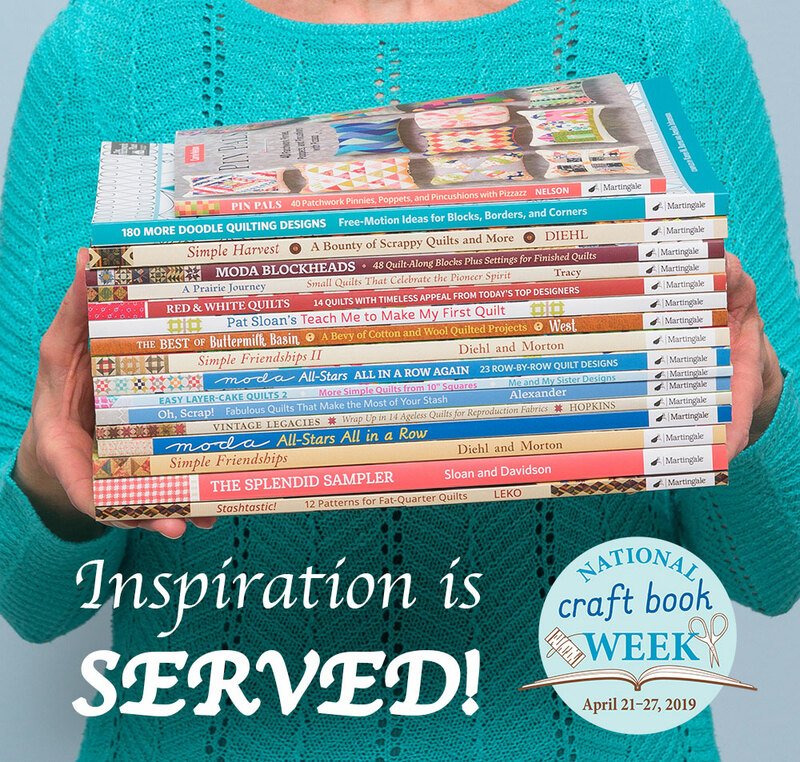 Simply snap a photo with you and the book of your choice and post it to Instagram or Facebook using the hashtag #NationalCraftBookWeek. We’ll choose two winners on Monday, April 29, so stay tuned on social media to find out who won—it might be you! 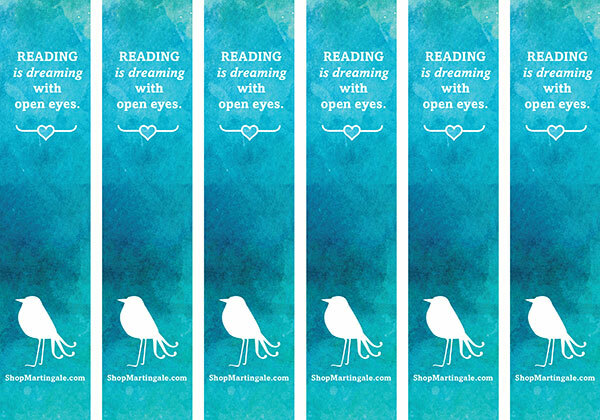 Download, print on cardstock, cut out, and start flagging and tagging your craft books—these cute bookmarks are FREE to you with our compliments! 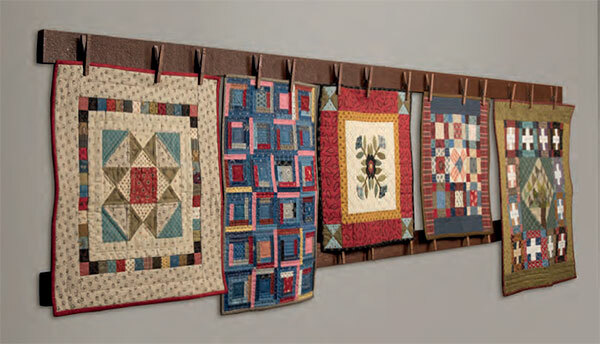 Top row: Kathy with Start with Strips, Regina with Hope’s Journey, Sheila with Stitched from the Heart. 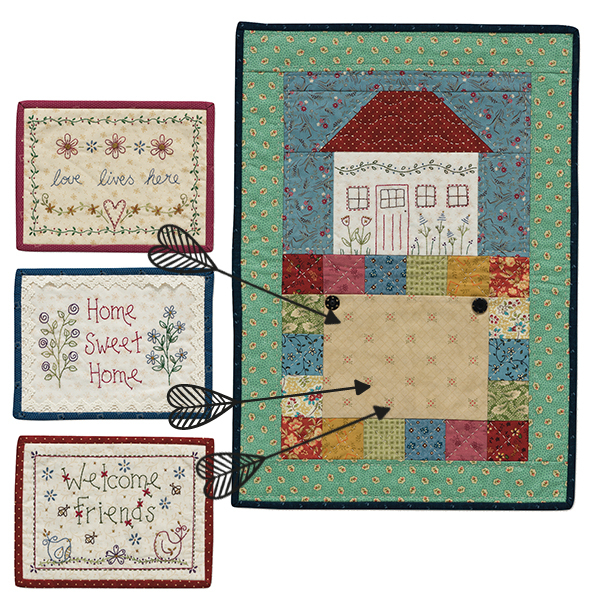 Middle row: Jenny with Visible Mending, Mia with Text It!, Wendy with Beyond the Battlefield. 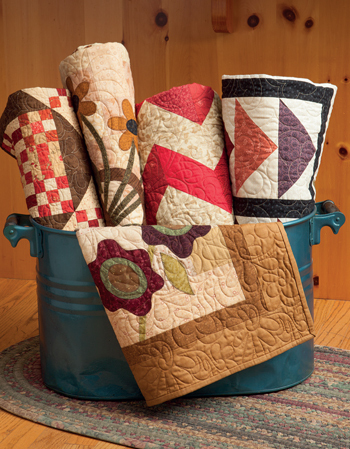 Bottom row: Tina with Quirky Little Quilts, Virginia with Beyond the Battlefield, Sheila with Pin Pals. 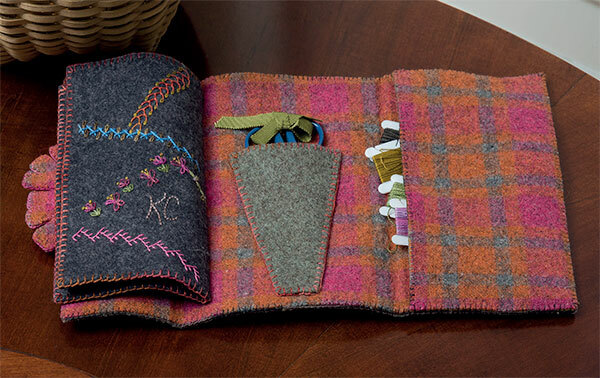 Hey, book lovers, this is YOUR week—It’s National Craft Book Week! 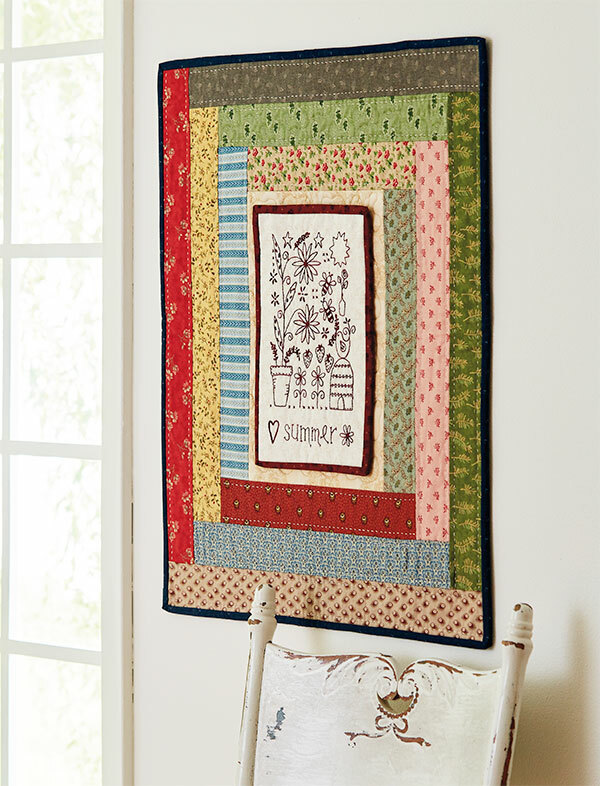 There’s no better time to celebrate the printed page . 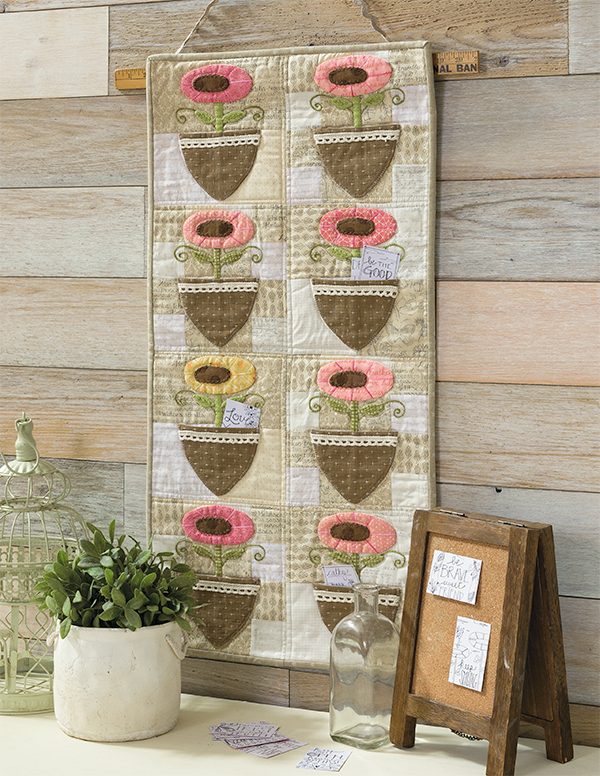 . . especially when those pages are packed with patchwork! 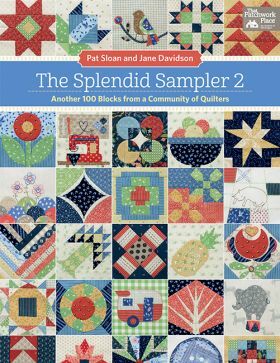 If you’ve got shelves full of quilting or other craft books (ahem, like we do), let them lead you on a creative adventure this week. Here are three ideas to get you back in touch with your inspiration, your imagination, and the authors you adore. 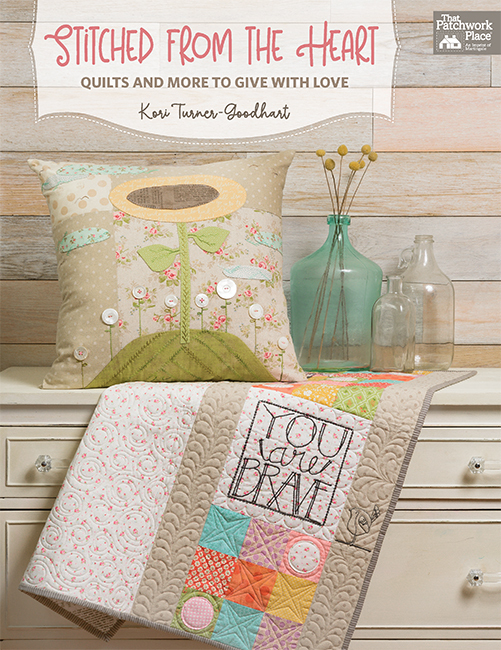 Head to your bookshelf, choose a craft book you love, and make something new! 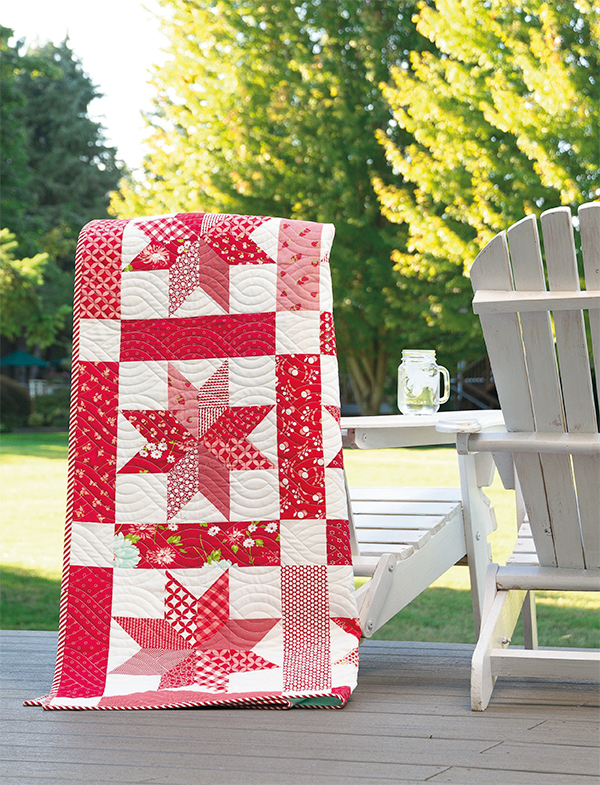 Create a project for upcoming celebrations like Mother’s Day, Father’s Day, or the 4th of July. 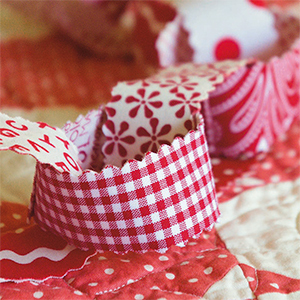 Or simply make a project as a salute to National Craft Book Week! 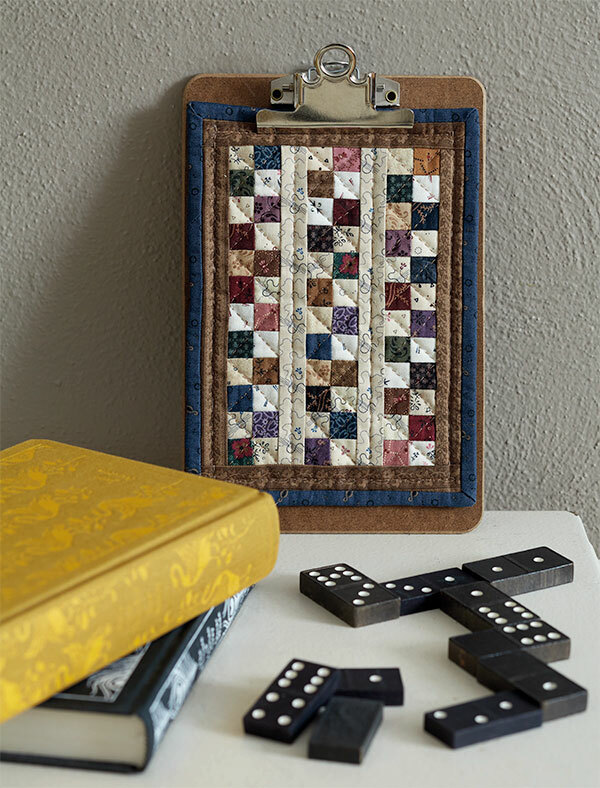 It’s the perfect excuse to carve out time for your creativity. Crazy for a current book? Share it with other creative souls on social media! 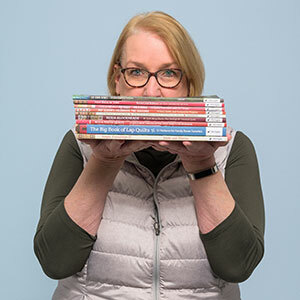 Post using the hashtag #NationalCraftBookWeek so we can find you and the book you’re loving right now—you could win TEN MARTINGALE BOOKS OF YOUR CHOICE if you post your book pick to Instagram or Facebook during National Craft Book Week! 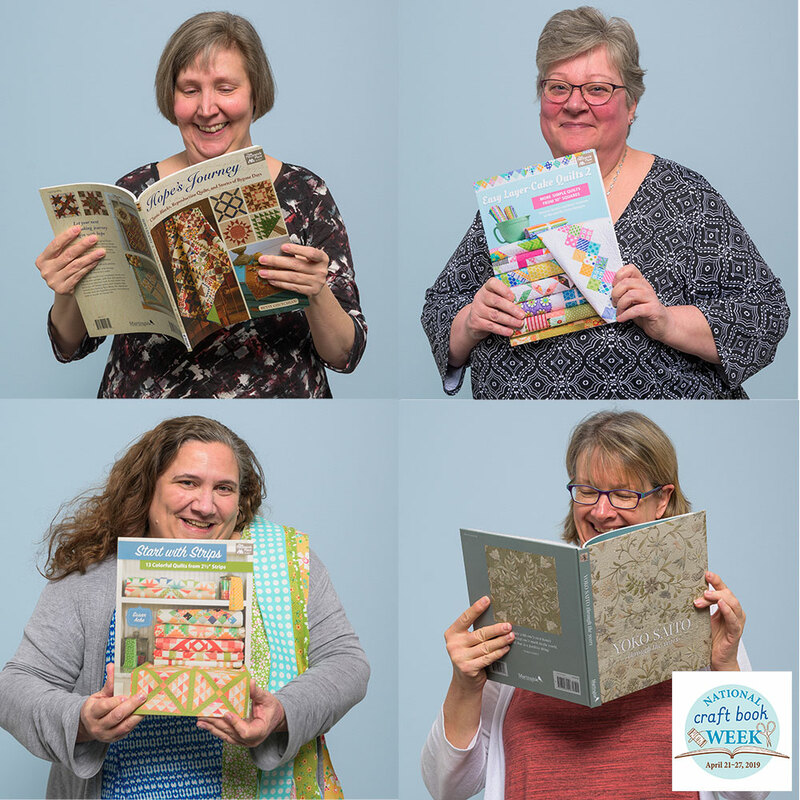 Books Martingale employees are currently crushing on (clockwise from top left): Production and Marketing Services Specialist Regina with Hope’s Journey; Senior Customer Service Rep Cornelia with Easy Layer-Cake Quilts 2; Director of Marketing Karen with Yoko Saito through the Years; and Book Designer Kathy with Start with Strips. 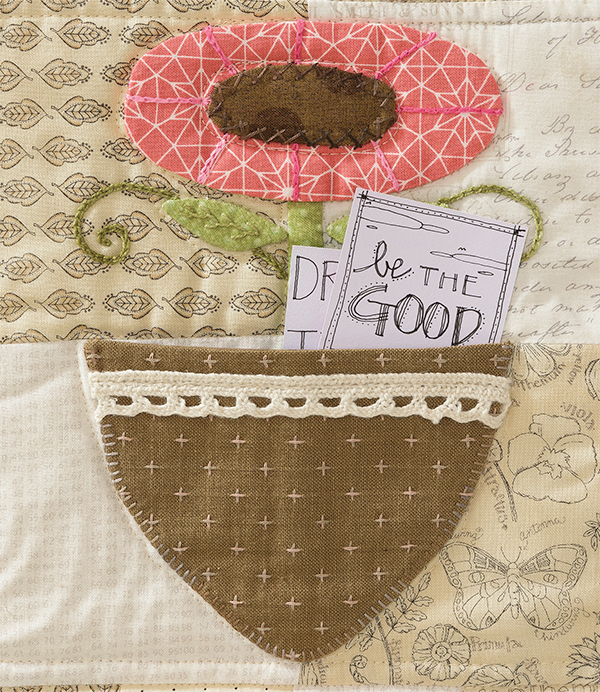 Download, print on cardstock, and cut out the FREE bookmarks below; then use them to mark the projects you’ll be making from the next craft book you buy. 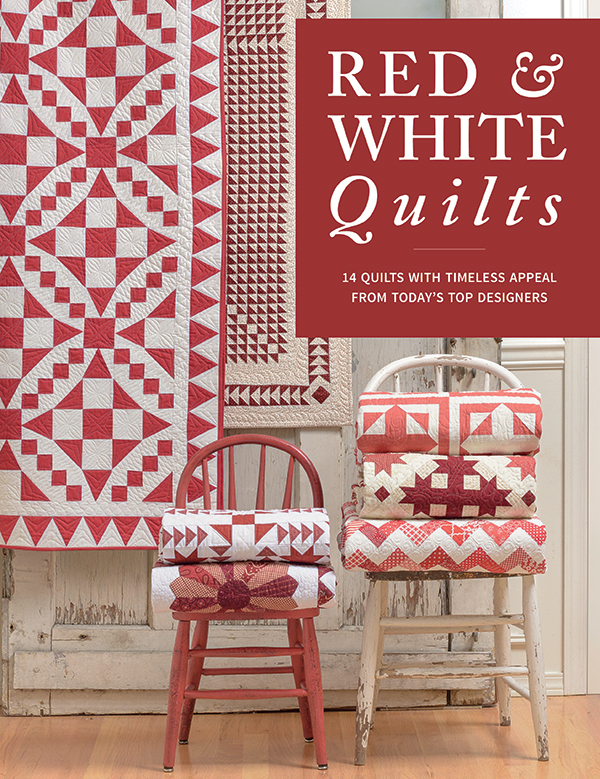 May we suggest these new books from Martingale? Browse away! 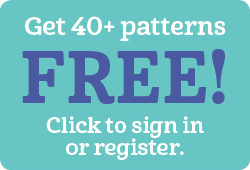 Download your free bookmarks at this link. 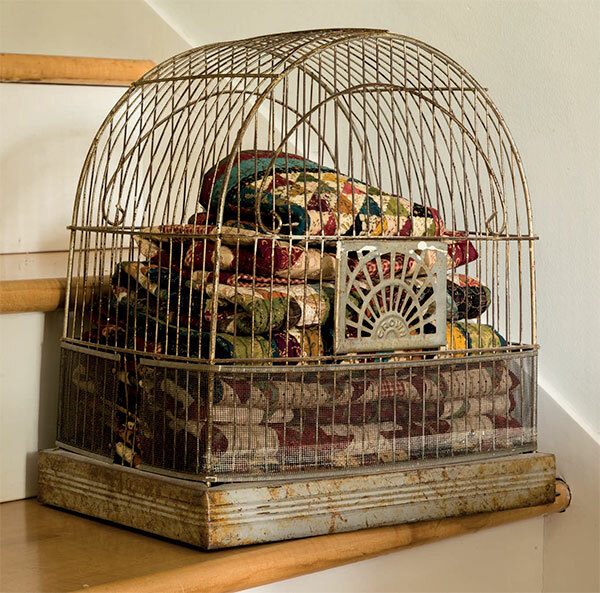 How many shelves do you have dedicated to your crafty books? Tell us in the comments! 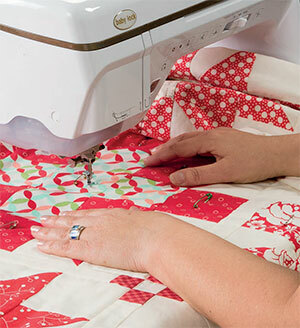 When we quilters are at our most organized, we carve out time to be at our sewing machine every day. But let’s face it—sometimes life gets in the way and our machine-sewing plans fall through. Does that mean there’s zero time to devote to your creativity? Martingale authors say no way! We asked several authors what they do when sewing-machine time is out of reach. If you’re like us, you’ll have a few “A-ha!” moments reading their answers below. 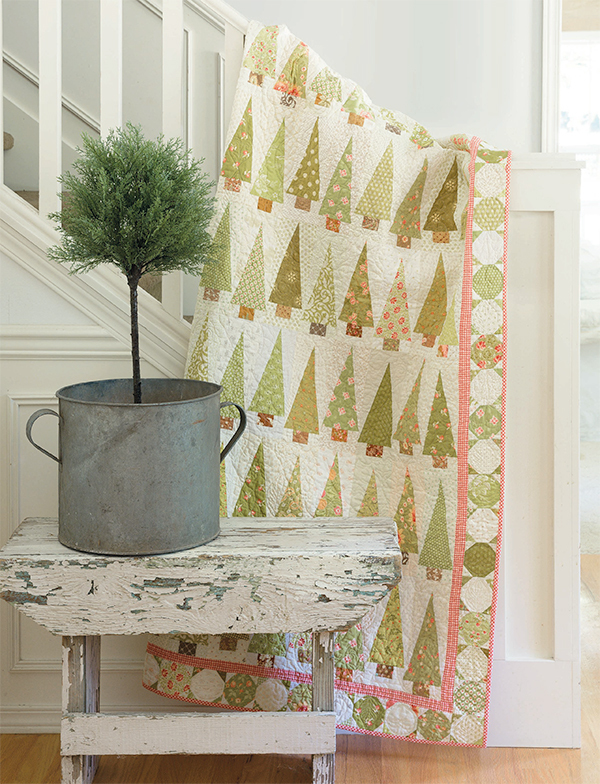 “Since I do needle-turn appliqué, I have plenty of go-to tasks away from my machine. 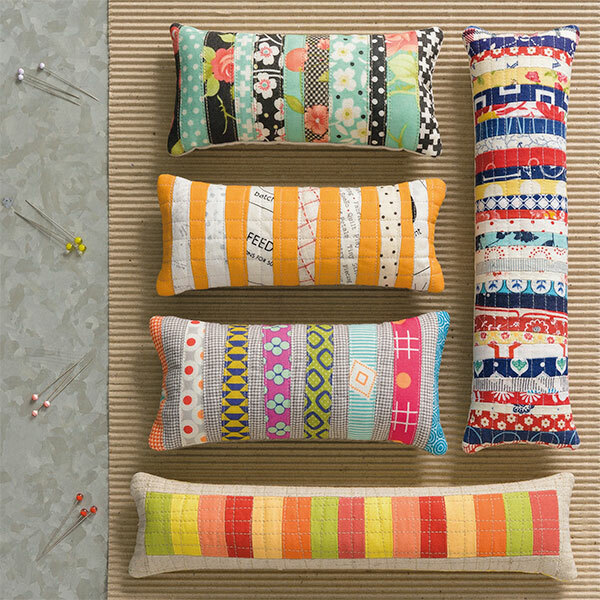 There’s lots of prep work to do before you can sew. Trace patterns onto freezer paper. Cut patterns out on the line. 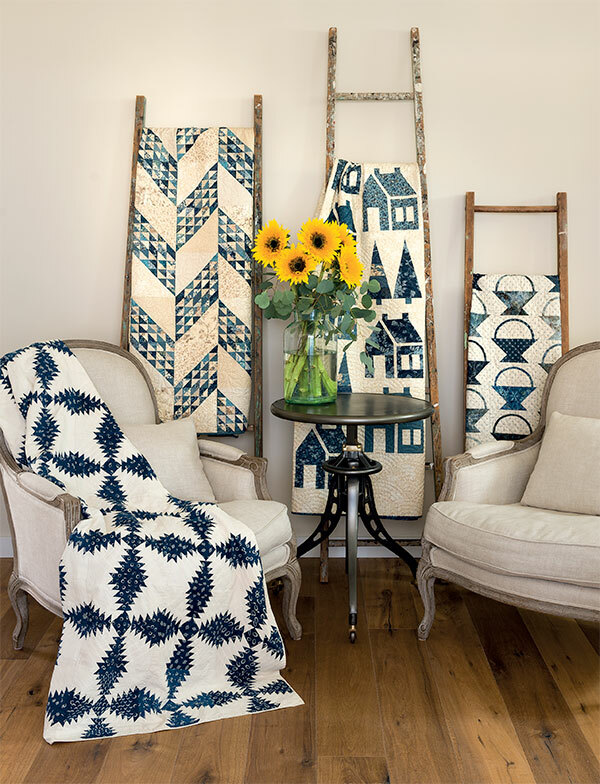 Cut the right-sized pieces of fabric for your project. 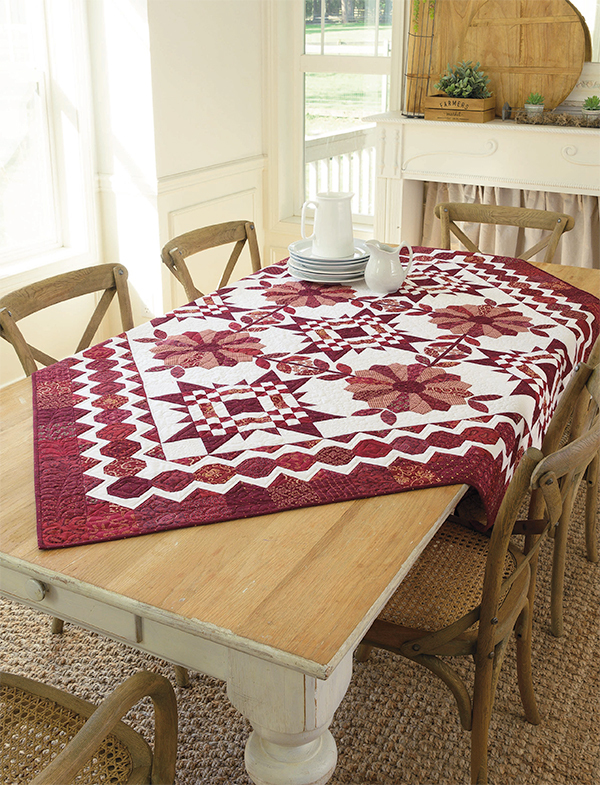 Iron patterns onto fabric and trace around them (I use a Sewline marker). 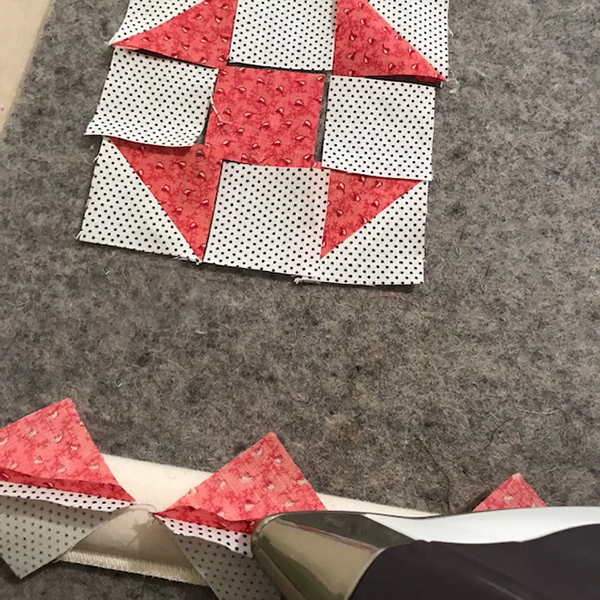 Cut patterns out, leaving a ¼" seam allowance. 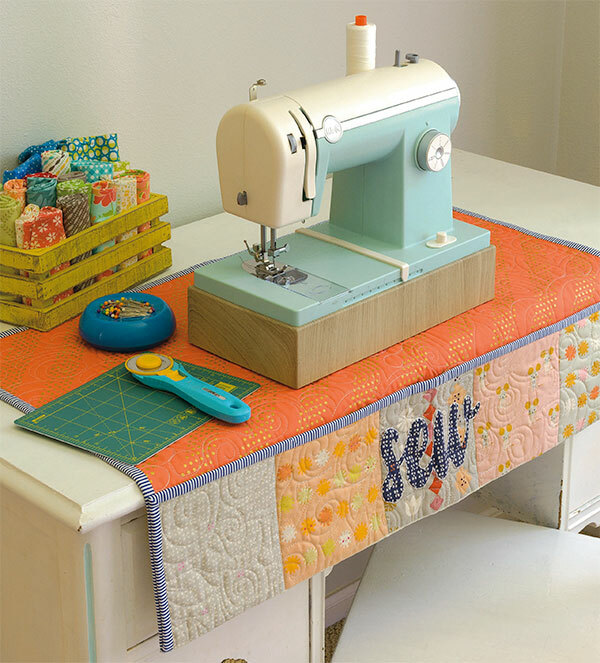 When you’re strapped for time at your sewing machine, what kinds of prep work do you do until you and your machine meet again? I rotary cut and prep pieces for machine sewing. 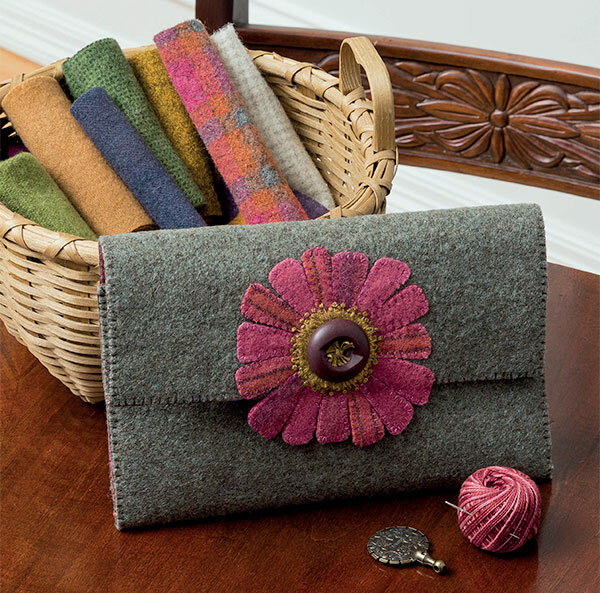 I always have a portable hand-sewing project at the ready. 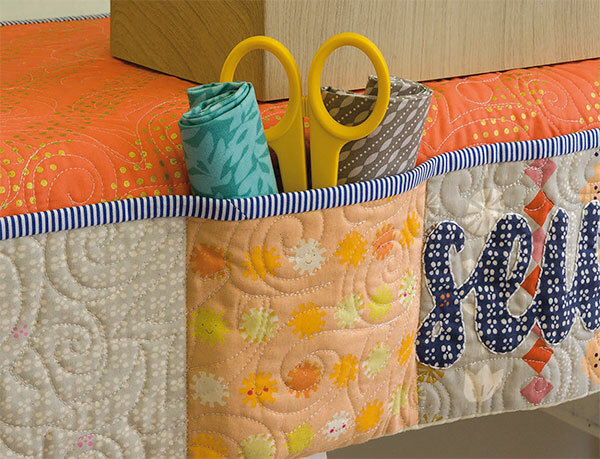 I spend time with my sewing books and magazines. Sew switchable, swappable stitcheries with the bestselling author of the “Patchwork Loves Embroidery” series! 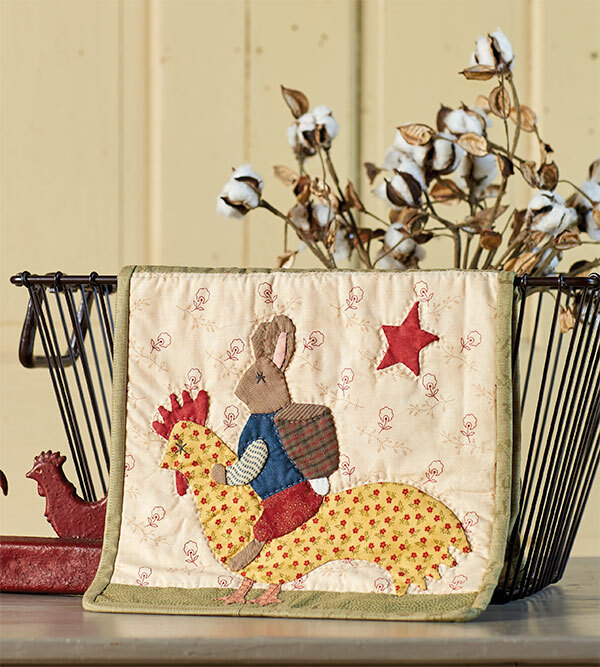 Gail Pan’s sweet and sentimental embroideries take on a delightful twist in her new book Changing Seasons. 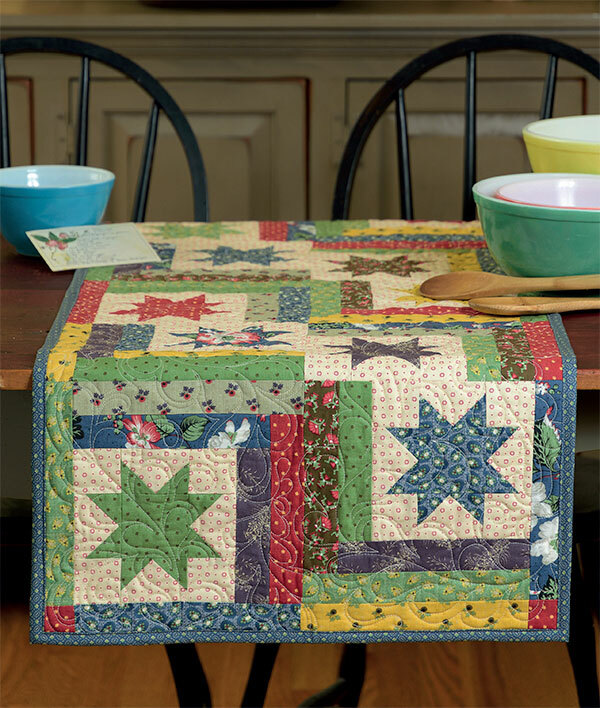 Small patchwork quilts include spaces to spotlight interchangeable embroidery panels, making it easy to replace one pretty piece for another to reflect the time of year. 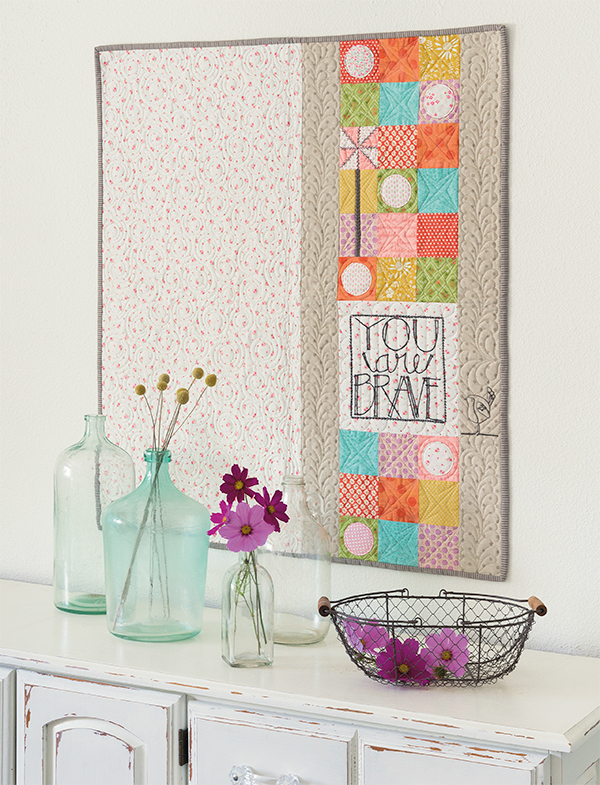 Choose the embroidery you want to display depending on your mood that day! 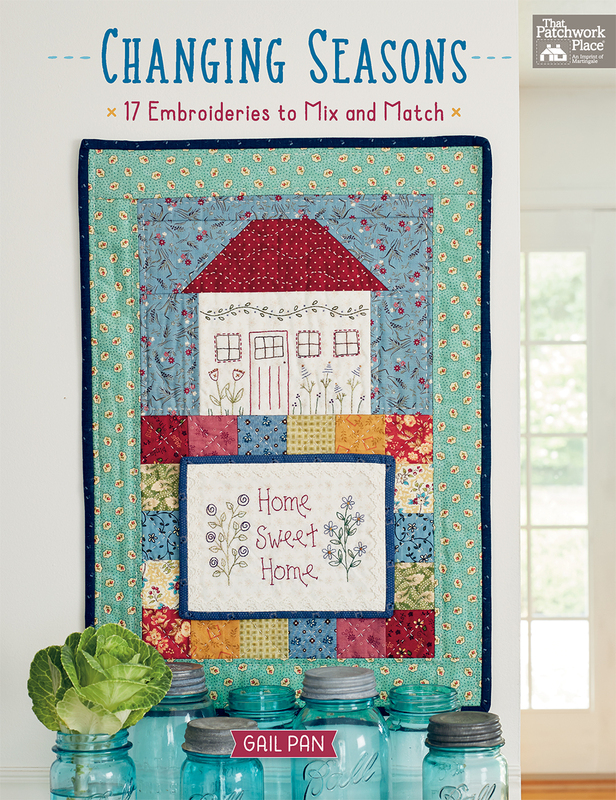 Projects inspired by seasons, holidays, celebrations, and the comforts of home mean there’s always a beautiful stitchery to display. 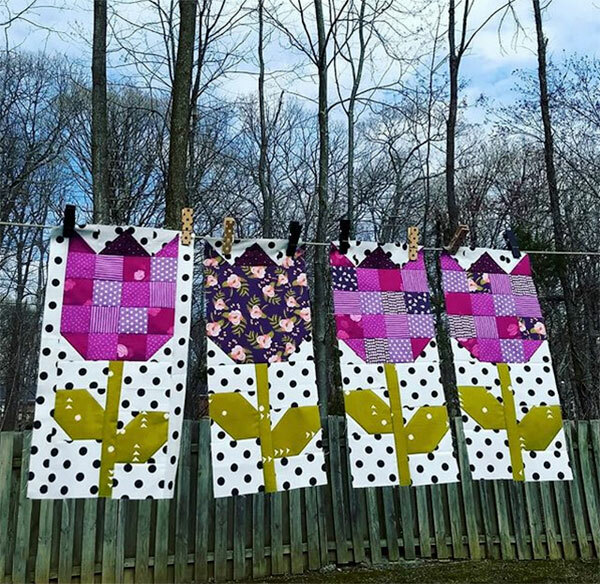 In addition to small quilts and framed art, Gail includes seven embroidered banners for all kinds of occasions—they’ll make even ordinary days special. 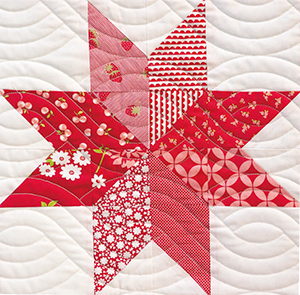 One of seven celebration banners you’ll find in the book. 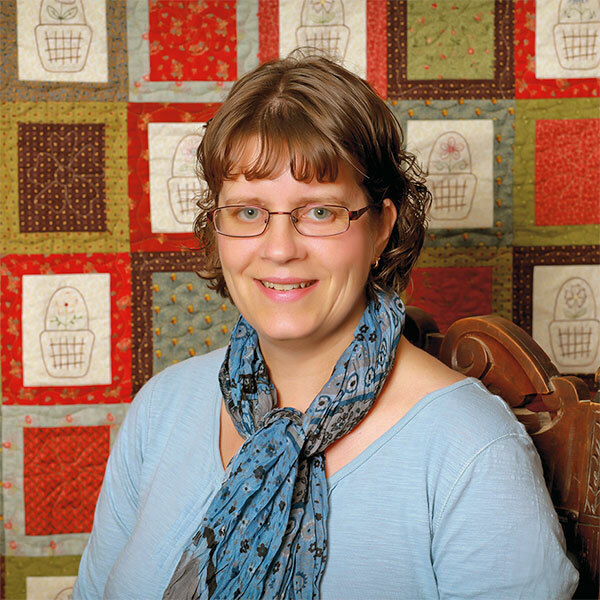 We asked Gail a few questions about her stitching life; read on for her answers! ST! 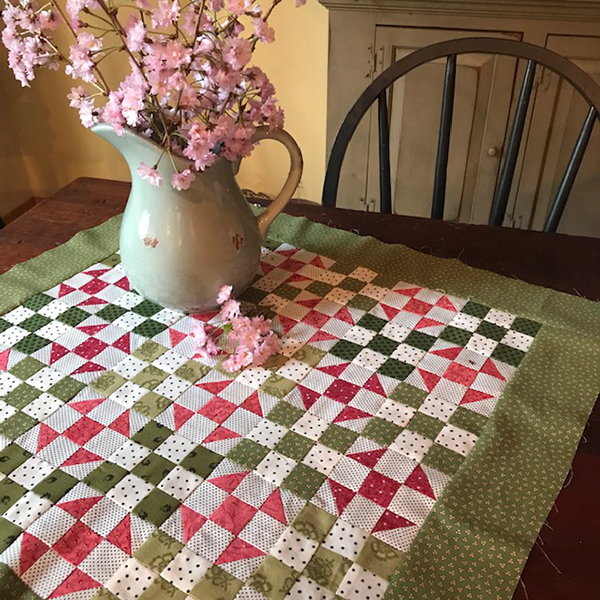 : This is your fourth book with Martingale—what inspired you to write Changing Seasons? 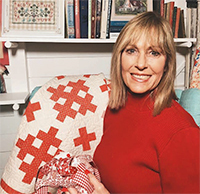 Gail: Martingale’s Publisher and Chief Visionary Officer, Jennifer Keltner, put the idea in my head and I ran with it. 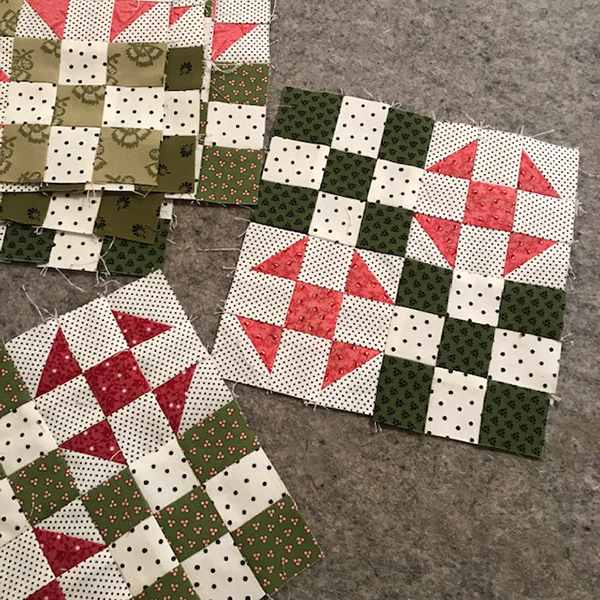 Once I got started there was no stopping! 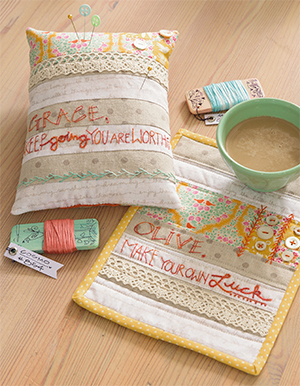 Words are great to put on embroidery projects, and I wanted to make things that would inspire and celebrate life. ST! 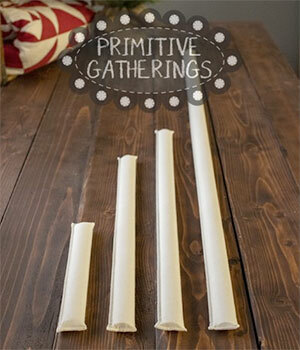 : What’s your typical process for designing, and where do you find your inspiration? Gail: I usually start sketching things, anything. But sometimes I have a light-bulb moment when I am out and about. 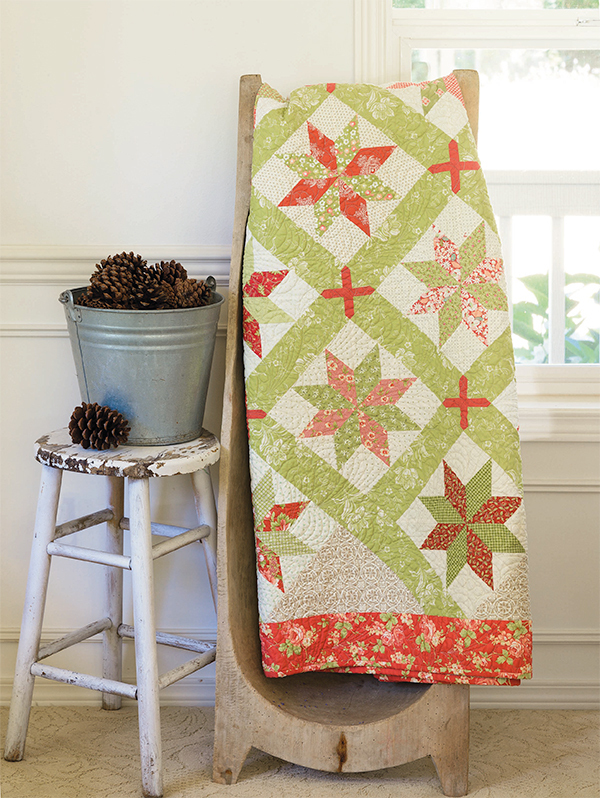 As the Seasons Change—stitch a swappable little quilt for spring, summer, fall, and winter. ST! 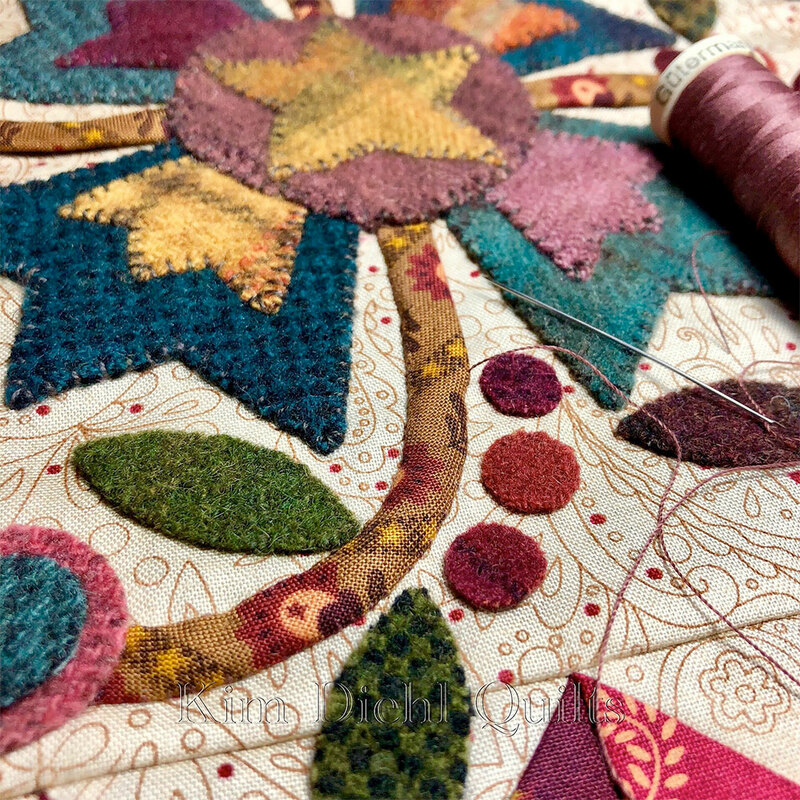 : It’s obvious that you have a love of embroidery; what draws you to it? 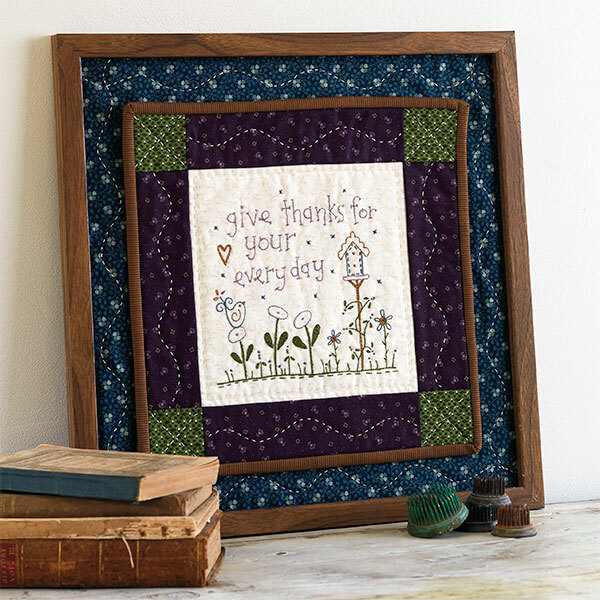 Gail: It’s nice to be able to create a lovely picture with thread. It’s portable too—I take it everywhere. ST! 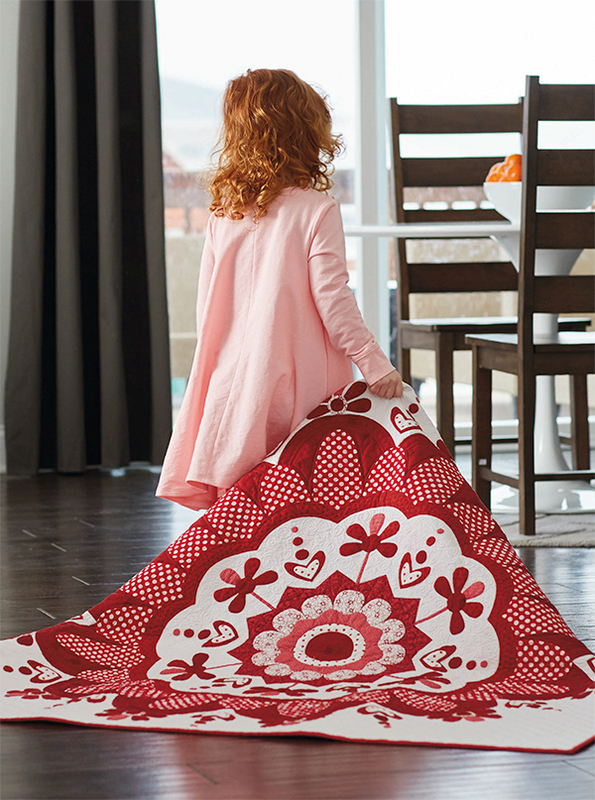 : What do you love most about creating with thread and fabric? Gail: The finish! I get so excited when I can look back and see what I’ve created. 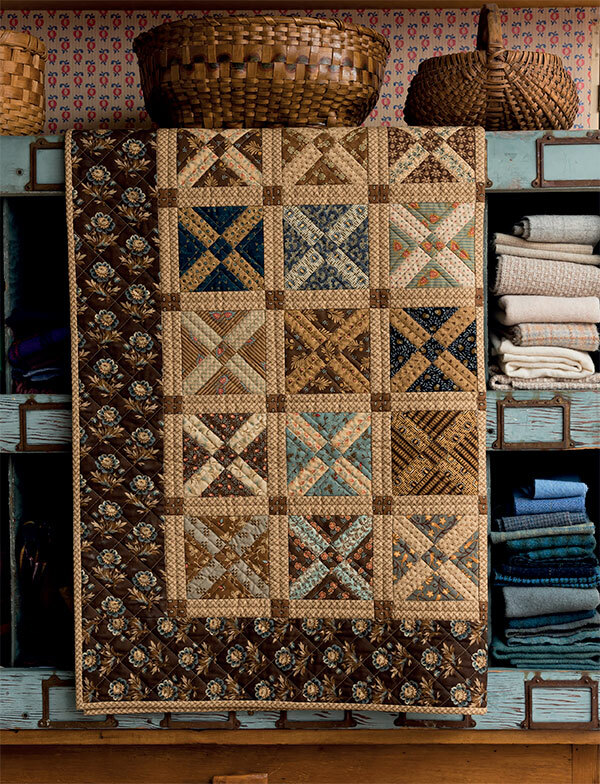 If I had a three-word stitching mantra, it would be: Keep on stitching. 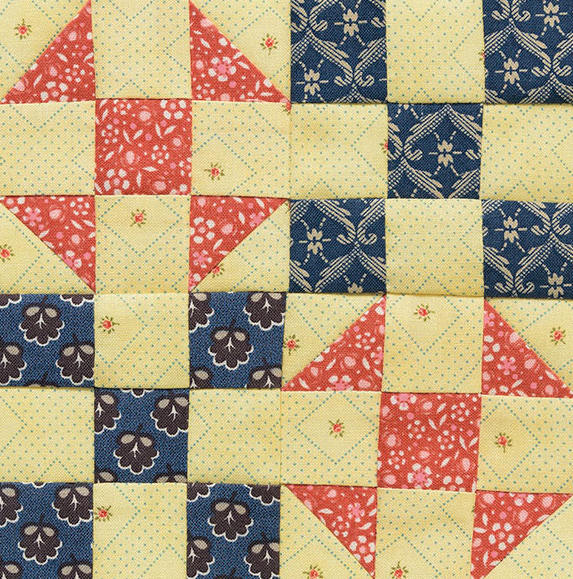 My best tip for new stitchers is: Take it slow. It’s not a race and you want to enjoy the process. 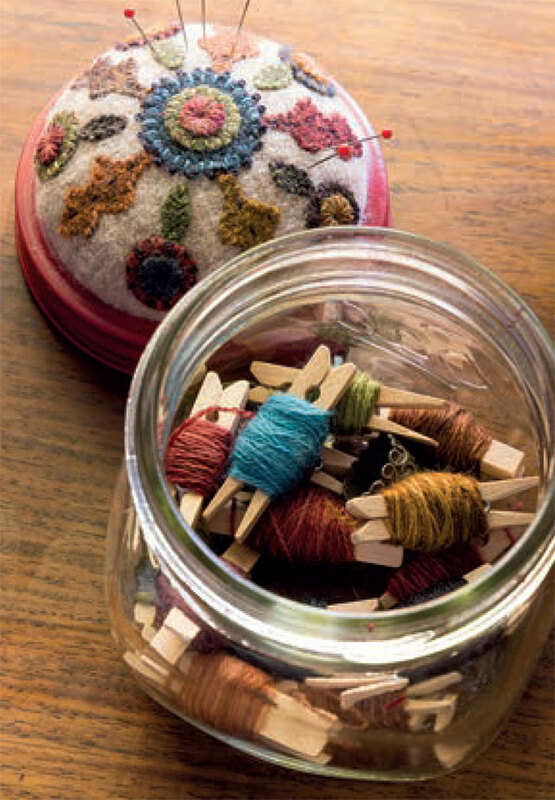 Before I begin a project, I must have: All my threads ready to go. 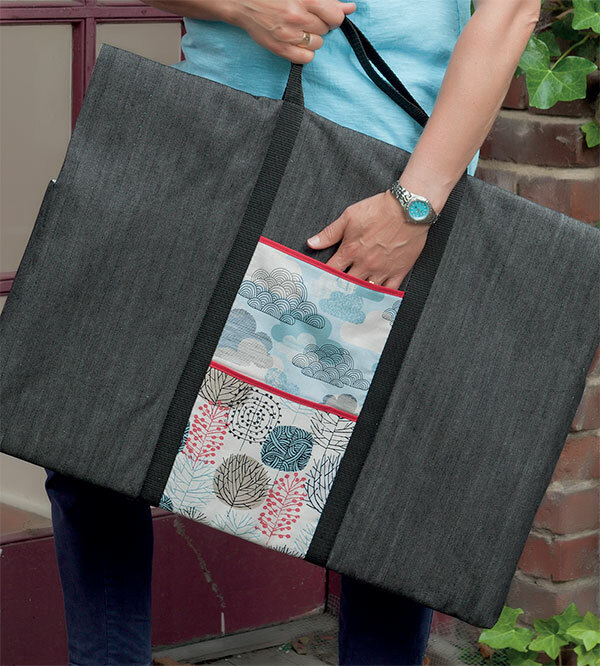 If I had a sewing superpower, it would be: Binding in about a quarter of the time it takes me! 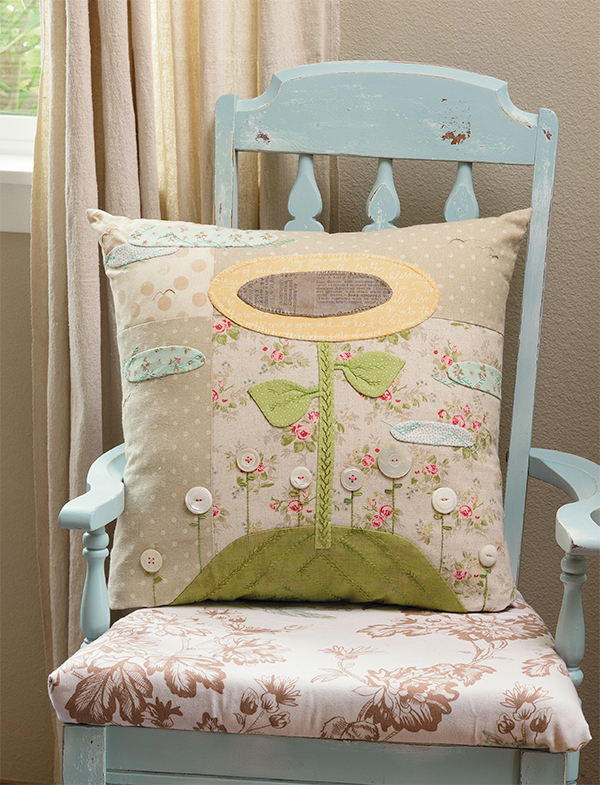 What’s your level of embroidery expertise? I love embroidery, and I’m still learning. 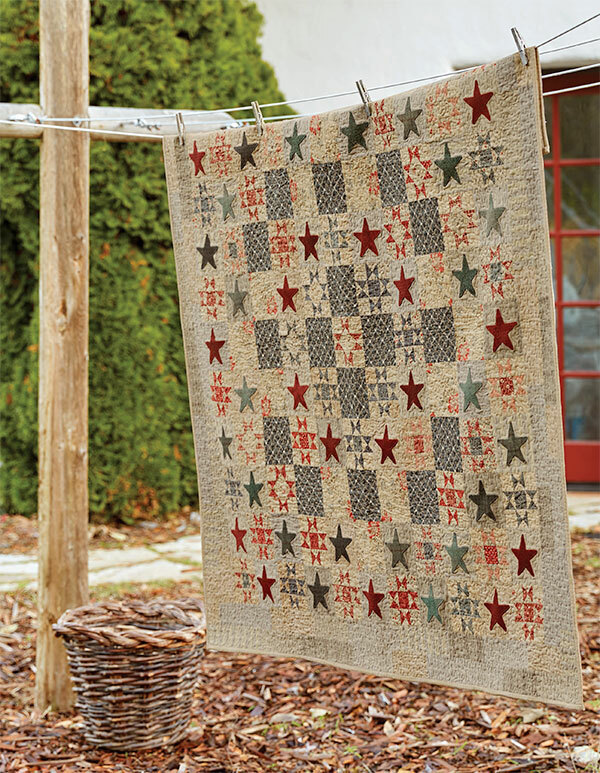 Beginner—but now I want to learn how with Gail! 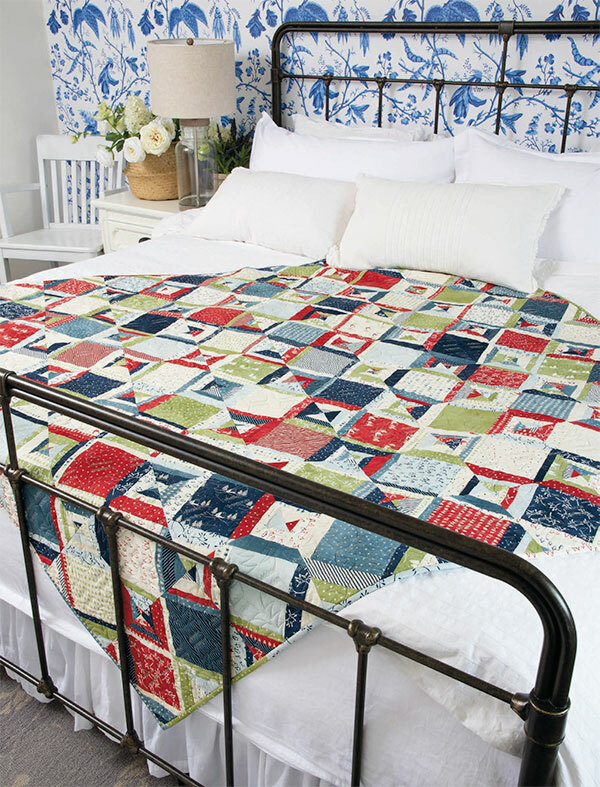 We’ll choose a winner one week from today and let you know by email if you win. Good luck! 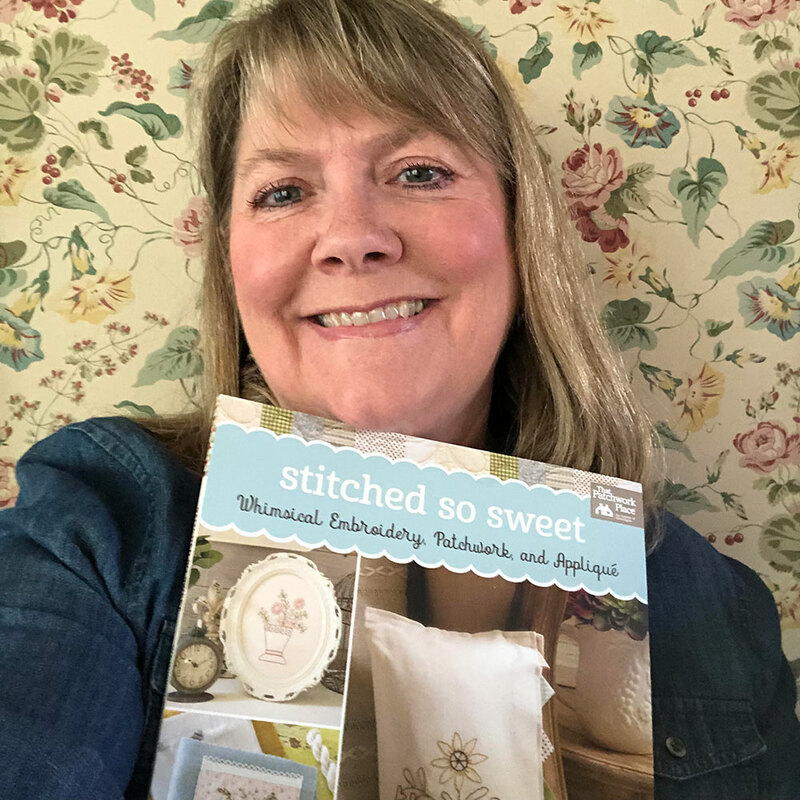 And if you’d like to start sewing with Gail right now, you can purchase the book at our website and we’ll send you a link to download the eBook version for free. 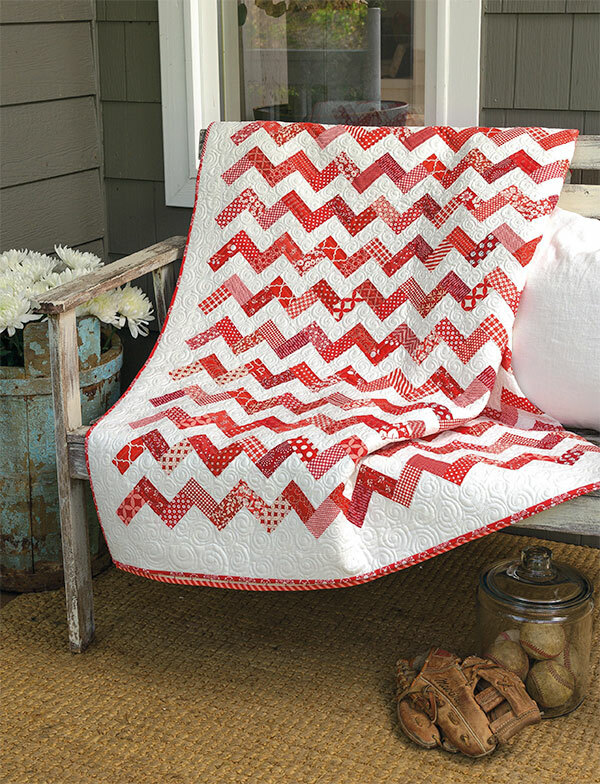 If you’ve ever washed a quilt that featured red fabrics, you might remember holding your breath when you took it out of the wash for the first time. Did the color bleed? 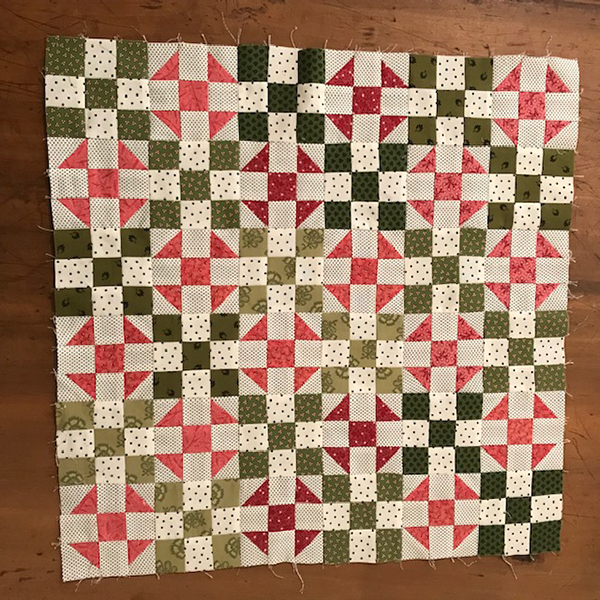 Did I prewash my red fabrics enough? 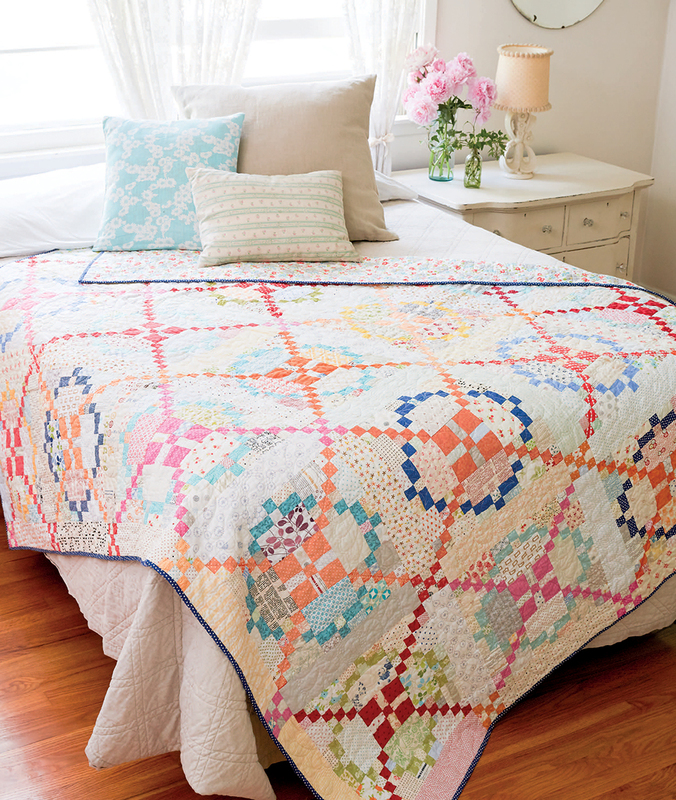 Will my quilt be ruined? 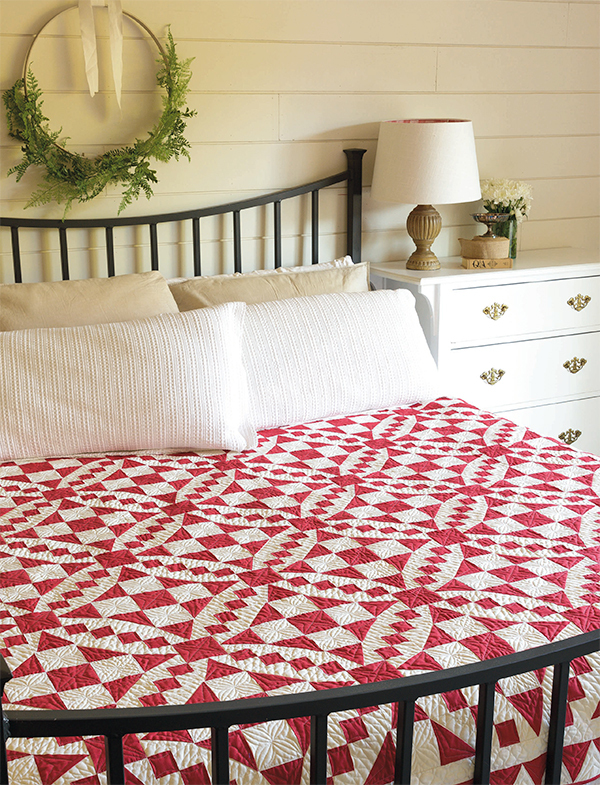 Sometimes red fabrics have us, well . . . seeing red! 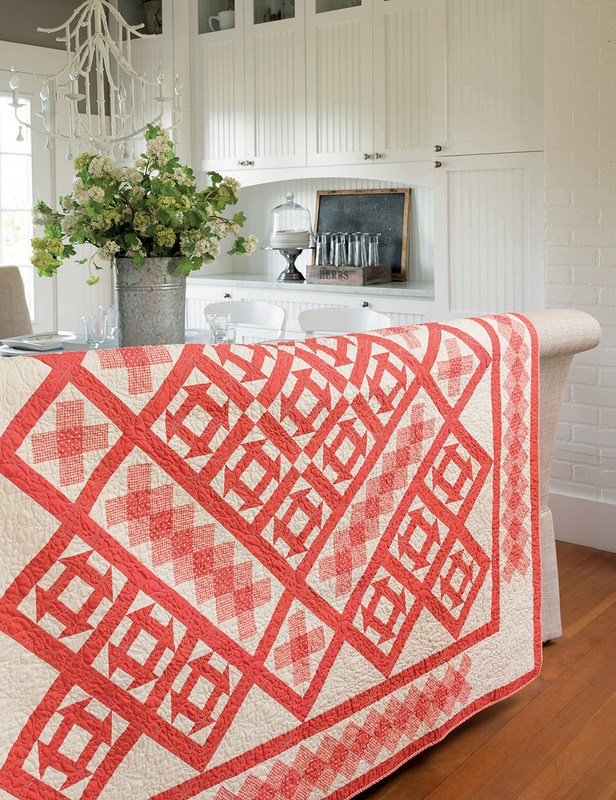 If the possibility of a color bleed has been keeping you from making quilts with red fabrics—and especially if you’re not sure how to wash a red-and-white quilt—we’re here to say that we found what works, so you can toss that worry away! 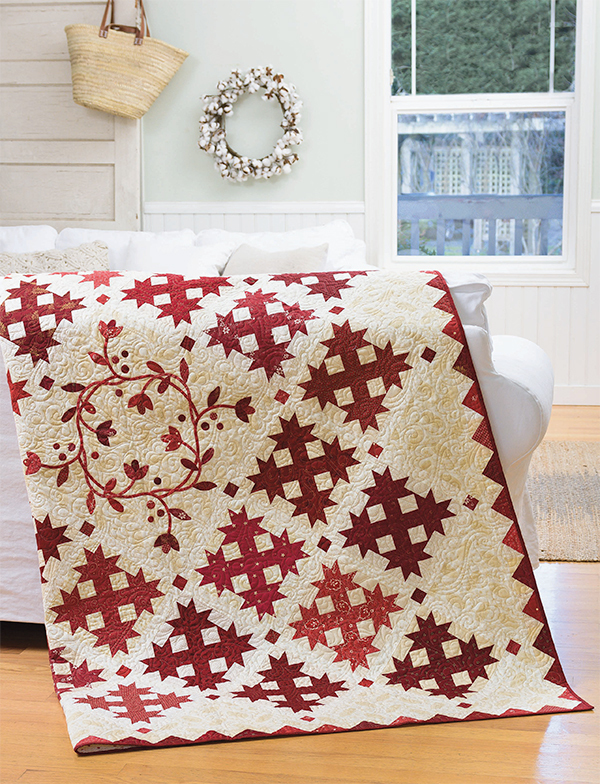 We asked Martingale staffers to share their best tips for washing red fabrics and red quilts. Several people responded, but surprisingly, we received the same answer again and again. We think that’s a good thing, as everyone agrees on a reliable solution for catching bleeding colors red-handed! A simple scrap of white. 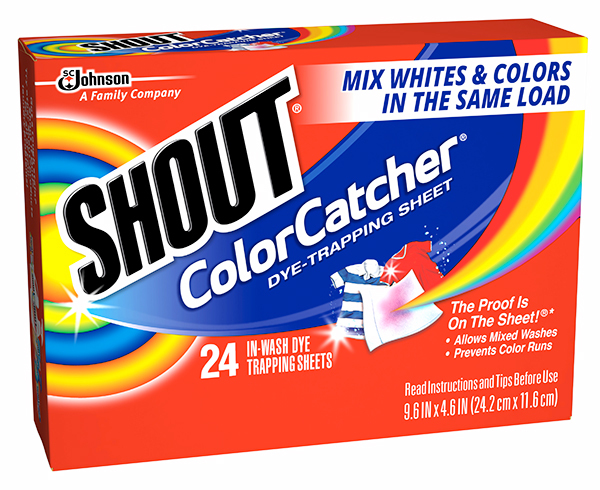 Sounds like an old-school ColorCatcher to us! 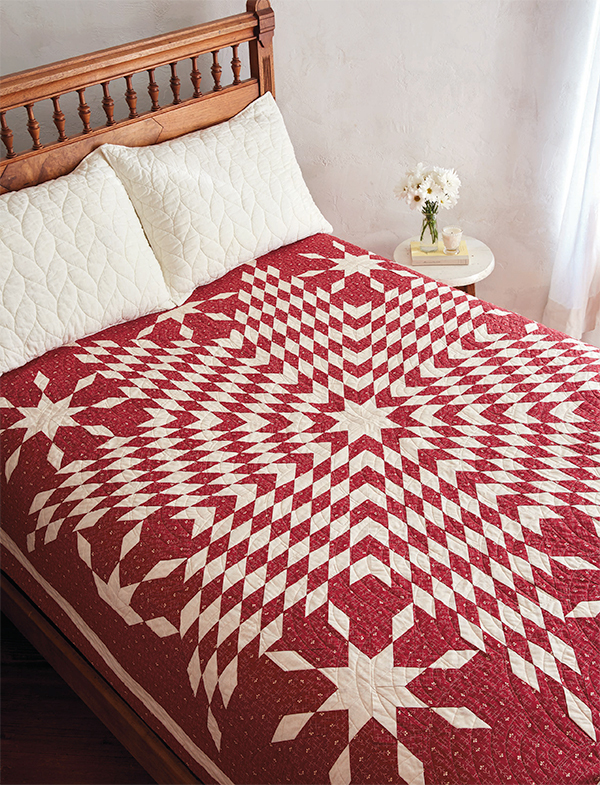 How do you usually wash your red-and-white fabrics and quilts? 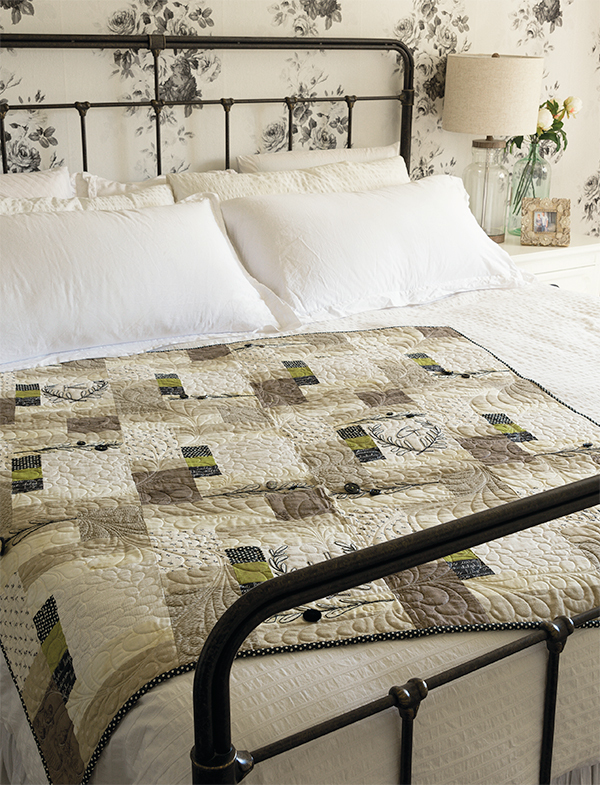 I use Tina’s method—a white scrap works wonders. 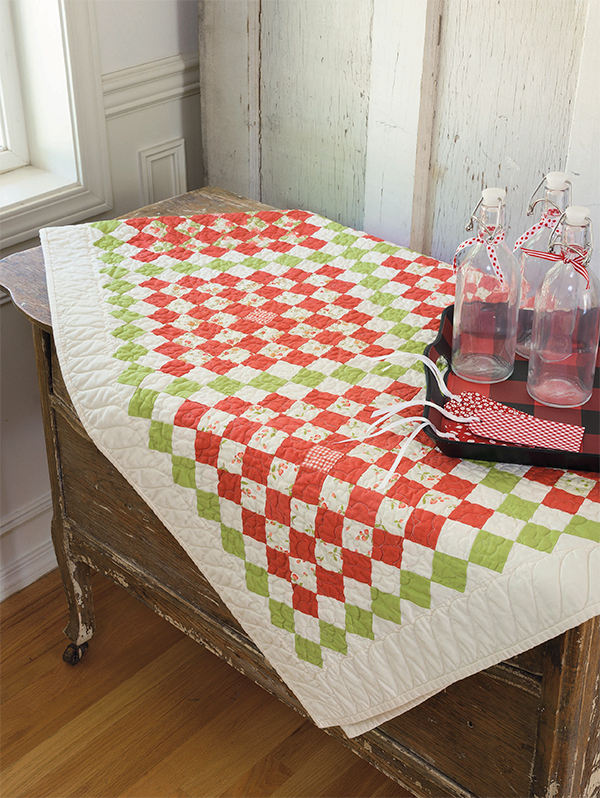 I wasn’t sure how to wash red fabrics; now I’m in the know! 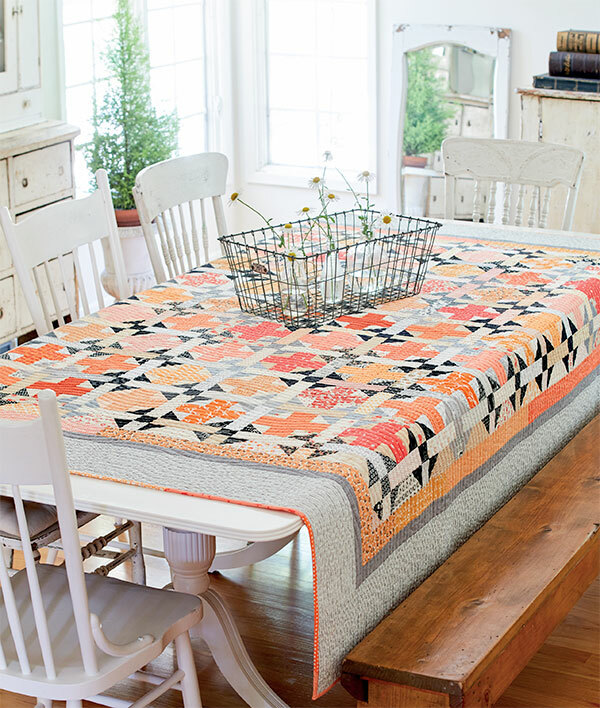 Tell us your color story in the comments! Everyone’s Nine Patches are looking so nifty! 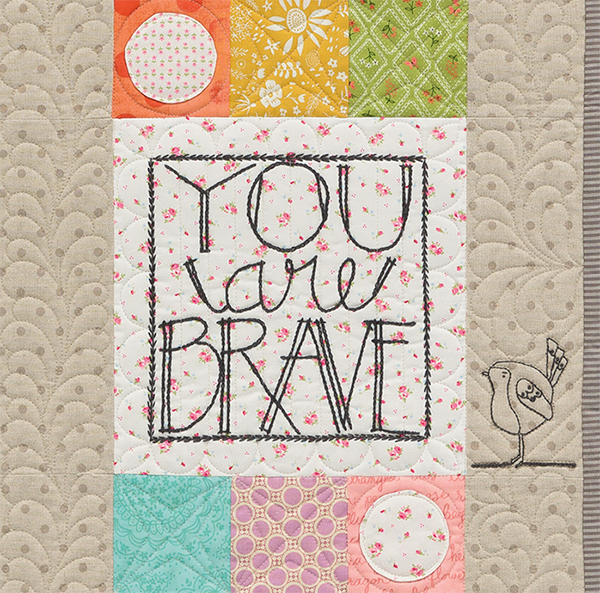 If you’re sewing with us, be sure to use the hashtag #QuirkyLittleQuiltsQAL so everyone can see your progress. 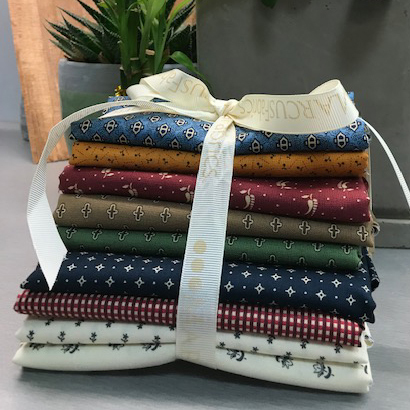 When you post using the hashtag you’ll be automatically entered into a random drawing to win a pretty bundle of Sheryl Johnson’s fabrics from Marcus Fabrics (right). 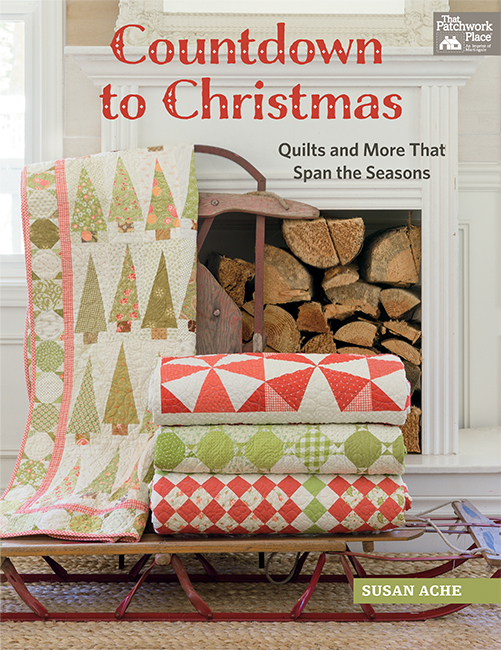 Winners will also receive five books of your choice from Martingale—and it’s not too late to get started! 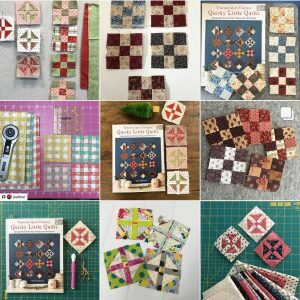 Get your copy of Quirky Little Quilts, start sewing your blocks, and photos of them on Instagram or Facebook—we can’t wait to see how your blocks turn out!